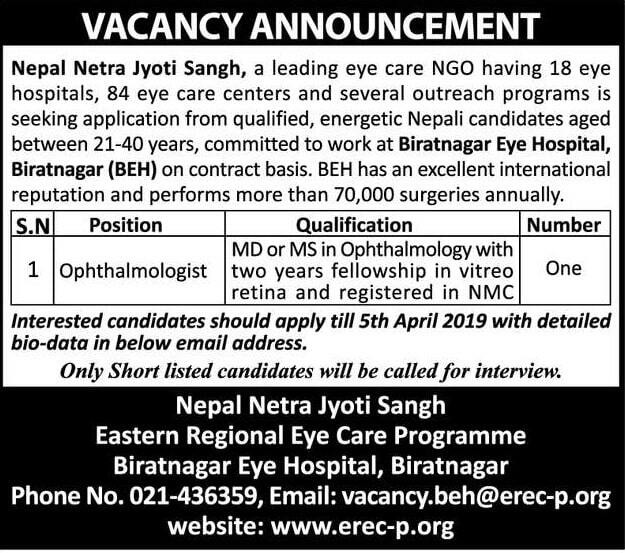 Nepal Netra Jyoti Sangh, a leading eye care NGO having 18 eye hospitals, 84 eye care centers and several outreach programs is seeking application from qualified, energetic Nepali candidates aged between 21-40 years, committed to working at Biratnagar Eye Hospital, Biratnagar (BEH) on a contract basis. 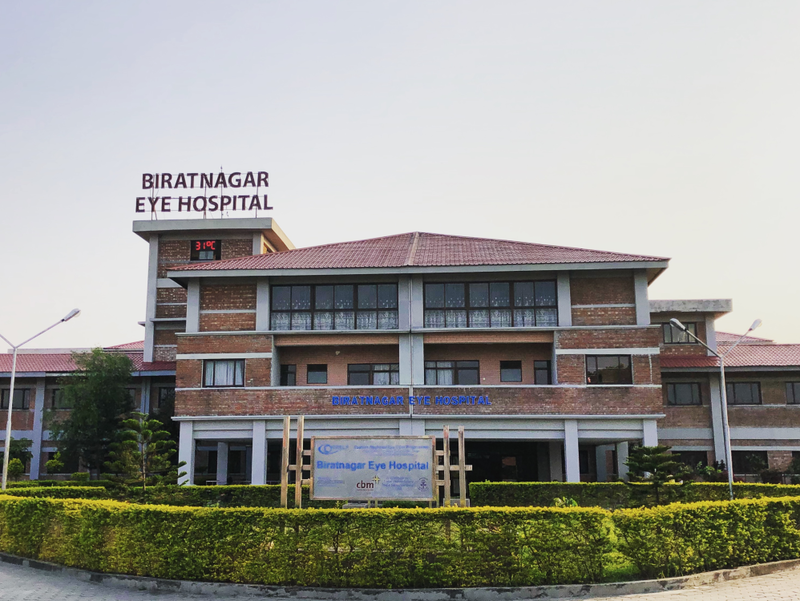 BEH has an excellent international reputation and performs more than 70,000 surgeries annually. 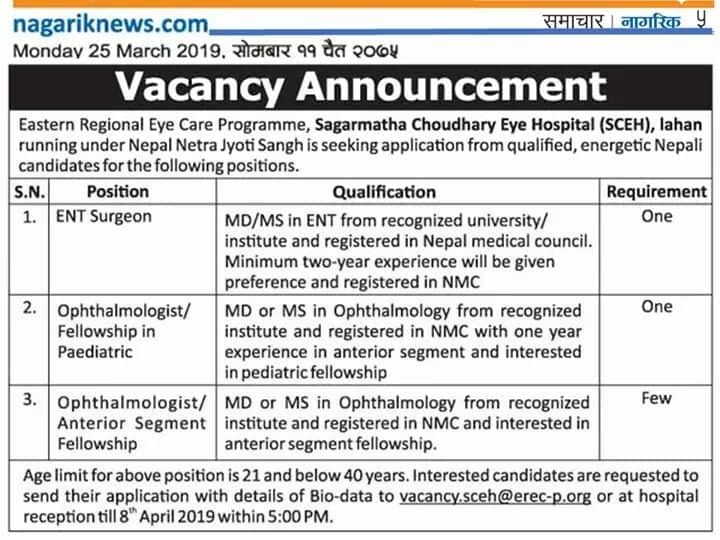 Interested candidates should apply till 5th April 2019 with detailed bio-data in below email address.